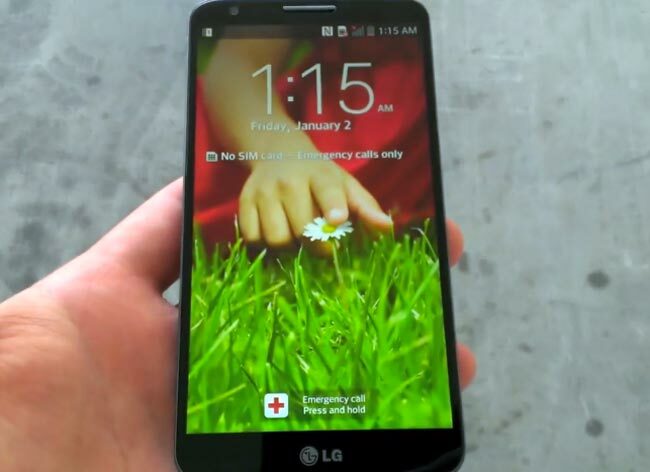 Earlier today we saw some photos and a video of the new LG Optimus G2 Android smartphone. The handset is expected to be unveiled at an LG press event on the 7th of August, and now it looks like we have a possible LG Optimus G2 release date. According to a recent report, the LG Optimus G2 will launch in Korea on the 20th of August, as yet there are no details on when the handset will go on sale in the US and Europe. The LG Optimus G2 is rumored to come with a full HD 5.2 inch display with a resolution of 1920 x 1080 pixels, the device will apparently be powered by a quad core Qualcomm Snapdragon 800 processor with a clock speed of 2.3GHz. Other rumored specifications on the LG Optimus G2 include 2GB of RAM and a 13 megapixel camera. As soon as we get some more information about the Optimus G2 we will let you guys know.